Greetings, geek fans! We’re days away from X-Mas, and I’m going to continue giving you your gifts. Rather than reviewing my three favorite versions of A Christmas Carol, I’m going to rate one of the main characters each day, and you already know this. Today I cover the Ghost of Christmas Future. Let the geeks begin! Sadly, because this is a modern telling, without animation or Muppets to help distort reality, there’s no silent reaper for Ebony. No, instead we get the third spirit in the form of a tv showing a Behind the Music on Ebony. 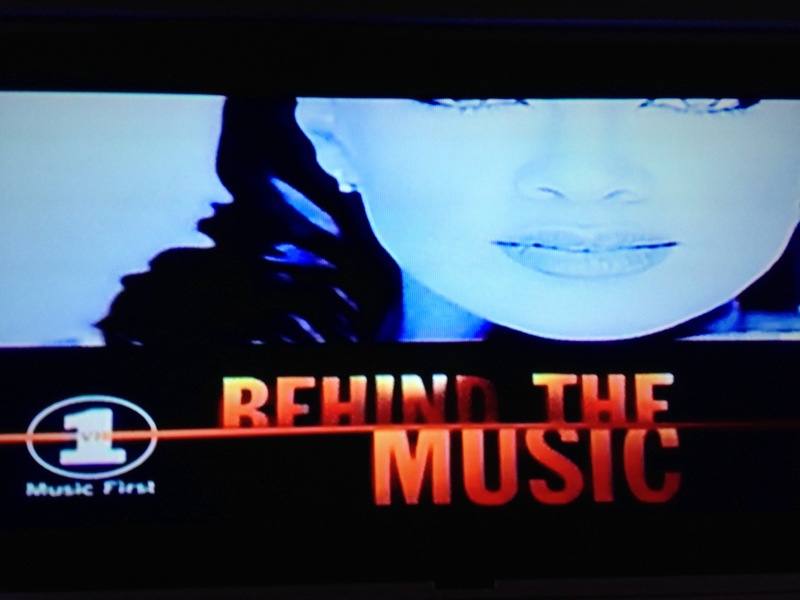 Kids, Behind the Music was a show on VH1 that used to go behind the scenes of popstars. Since VH1 produced this incarnation, they’re going to self-promote while teaching Ebony a lesson. After all, can’t have a modern story without some product placement. Ebony watches as Bob and the crew recount how horrible she was in life, and how they’re glad she’s gone. Bob can’t forgive her for having him on tour when his son died. We see Ebony’s tombstone, and Ebony gets sucked in to the tv shouting that she’ll change, and swears to honor Christmas all year. Well it’s about damn time. Granted, it took her until getting sucked into the tv to change her tune. What was I saying about distorting reality again? After being left by the giant, Scrooge is surrounded by smoke. 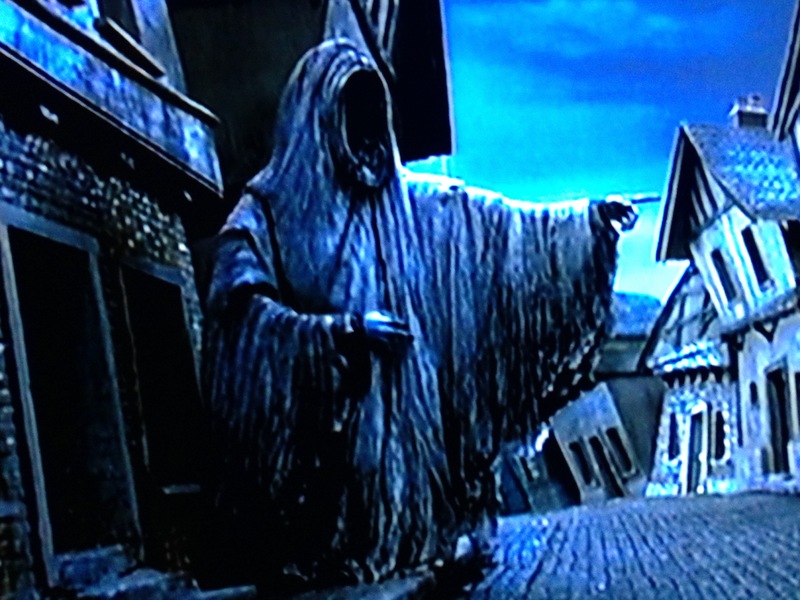 The looming reaper figure points him towards the cemetery. Mickey is clutching the crutch that belonged to his now-deceased son. Scrooge begins to see what his actions are leading to. Though, to be fair, Mickey Bob stays. Like any good abusive relationship, he doesn’t think he can do better. Anyhow, Scrooge sees some weasels digging another grave. They’re commenting that there’s no one there to bid him farewell, as they go take a break. Scrooge approaches the open grave, and cautiously asks who it belongs to. 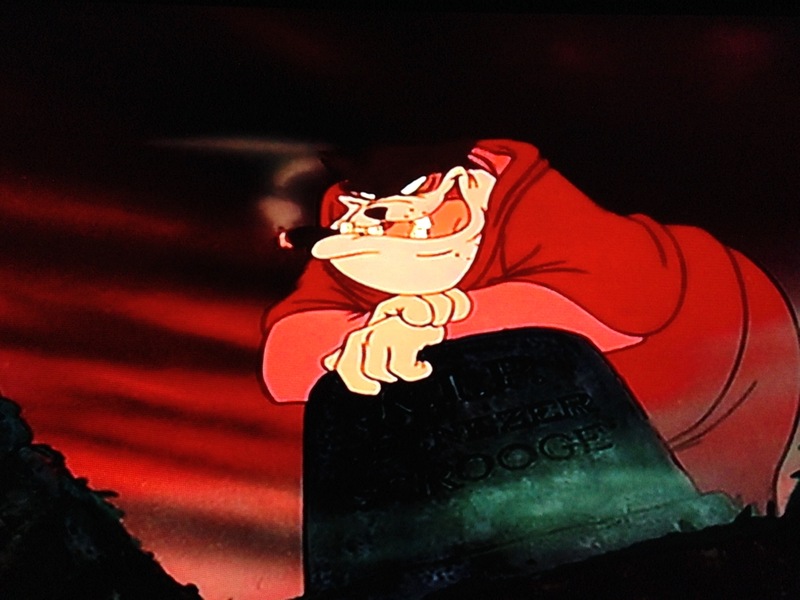 The reaper pulls back his hood to reveal Pete, who lights a match, which illuminates Scrooge’s name on the tombstone. He calls him the richest man in the cemetery, and pushes him into the grave. Scrooge holds on to some roots for dear life, as the coffin opens, with fire and smoke coming from it. Pete laughs as Scrooge keeps screaming that he’ll change. Now this is the kind of Disney we need more of, darker with some grit. Great job! The third of the new creations is a giant, reaper-like figure. As in, bigger than full grown Michael Cain. Unlike other interpretations, this version doesn’t speak, but merely points to what Scrooge needs to observe for his lesson. Even Scrooge fears this spirit, and tells him as much. Admittedly, I’d like to know the future, but I fear it at the same time. There’s something about knowing the unknown. I can’t explain it. The reaper is so scary that even Gonzo won’t stick around. The spirit takes Scrooge to men having a conversation about someone dying, and being quite glad about it. Scrooge is directed to another group having a conversation about a dead man. Each person there is handing over the deceased’s possessions, and getting paid for them. It chills Scrooge that his fate could be the same. He asks for tenderness, lest he be haunted forever by that conversation, and is taken to Bob’s house. Scrooge observes the quietness, and upon looking in on Bob’s family, realizes something must have happened to Tiny Tim. He’s taken to the cemetery, and asks about the man who’s death brought others joy. Reaper points to a tombstone. Scrooge asks if these evens will be, or can be changed. Reaper points again. Scrooge goes to the grave, and discovers it’s his own. He asks why he was shown these things if they couldn’t be changed. He begs the spirit to speak to him, and appears in his own room. Chills. I’m sorry, if a looming figure dressed like the embodiment of death showed me my own grave, never said a word, and just left me in tears, I’d need therapy for a decade. Not that I don’t already. Great job, team Muppet. Bloody Brilliant! Tune in tomorrow for the final character, Scrooge, as my Christmas Carol Countdown continues. Damn, I love alliteration. This one will be the best yet. Until next time, stay geeky, and keep gabbing!